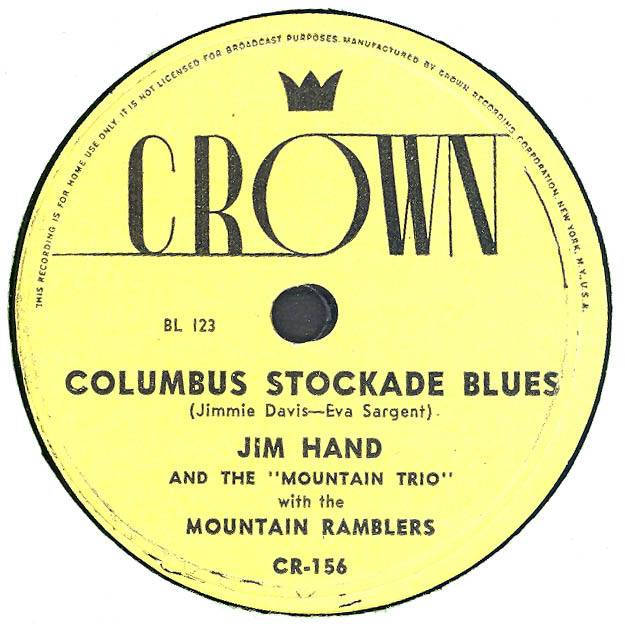 Crown CR-155 Jim Hand With The Mountain Ramblers A Light In The Window/Born To Lose 1947/Oct. 25 Bb c&w adv. 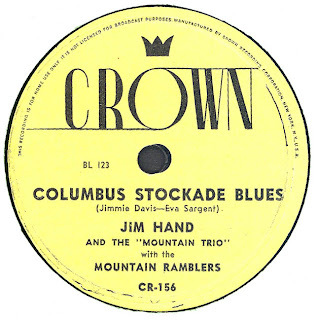 Crown CR-156 Jim Hand With The Mountain Ramblers/And The “Mountain Trio” There Is No One Home (BL 122)/Columbus Stockade Blues (BL 123) 1947/Nov. 1 Bb rev.